Whether it’s a hundred degrees or below freezing, there’s never a bad time to enjoy a milkshake in Alabama. This dessert is a year-round staple that adds the perfect finishing touch to every meal or makes for a delectable sweet snack, Find your favorite flavors at these 10 best places for milkshakes in Alabama. “Milkshake” in their name for a good reason—they have the best shakes in the state, hands down. Every shake is a rich, filling work of art that could easily be a meal itself. Each of their specialty shakes is handcrafted and served in a souvenir mason jar. Or, you can build your own shake to get the perfect combination of ice-cream and add-ins. This old-fashioned soda shop sends you straight back in time to an era where quality, service, and flavor created the trifecta of dining out. Along with a full food menu, they have 34 flavors of ice cream, each one ready to transform into a perfect milkshake. You can also choose from a variety of specialty shakes. They’re well known for their over-the-top birthday cakes, but it’s hard to ignore their delightful milkshakes. Every milkshake they make looks almost too good to eat. They’re huge, unique, and creative, meaning you’ll never have to settle for plain ol’ vanilla. This burger-and-fries chain has three locations in Alabama and they serve up some of the best shakes you’ll ever taste. For starters, they use real ice cream, which makes a huge difference in how their shakes taste. Their menu is limited in flavors, but makes up for it in taste and quality. This classic pairing of burgers and shakes never gets old. Here you’ll start with a base of vanilla, chocolate, or strawberry, then add in your choice of candies, fruits, nuts, or other flavors to create your perfect shake. Find locations in Auburn, Dothan, and Huntsville. It doesn’t get any more artisanal than at Big Spoon Creamery. Freshness is their priority, offering some of the best ice cream flavors you can get. They can turn any flavor into a masterfully crafted shake for you, including Meyer Lemon, Peanut Butter Caramel, and Bulleit Bourbon Eggnog. This little hole-in-the-wall is a hidden gem. It’s walk-up only, so you’ll have to get your shake to go, but locals wouldn’t have it any other way. They also feature the best hot dogs in town, giving you the perfect meal-dessert combination you could ask for. Locals love getting their shake here because they know their purchase goes toward a great cause—Maji Hope. This organization gives clean water to villages in Africa. Aside from their philanthropic efforts, their fans love the shop itself, touting it as one of the best places in town to hang out. As the only Handel’s in the state (there are dozens more throughout the U.S.), you’ll want to score your chance to grab a shake here. They make their malted milkshakes the old-fashioned way from any of their more than 50 delicious flavors. Plus, you can grab your own hand-packed pint or quart of any flavor to take home and make your own shakes. 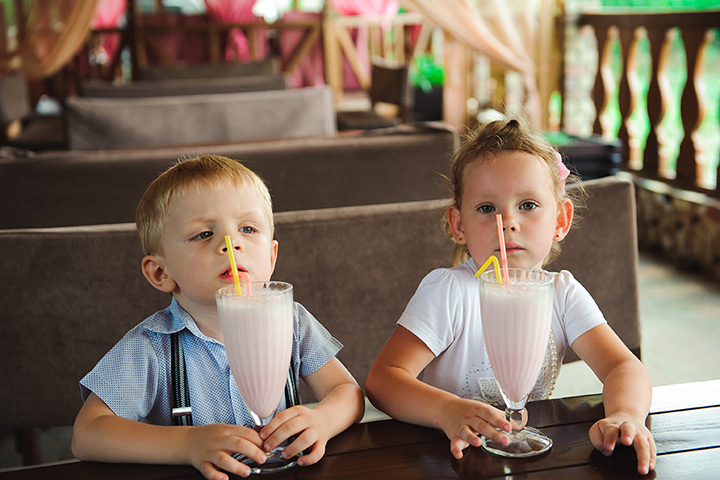 A favorite among kids and adults alike, there’s no such thing as a bad milkshake here. They have just about every flavor you can imagine, combined with all the best toppings that make for one yummy treat. The enjoyable atmosphere only adds to the experience.